San Fransisco’s most celebrated ghettotech label has just announced more details of the second annual edition of their flagship event. 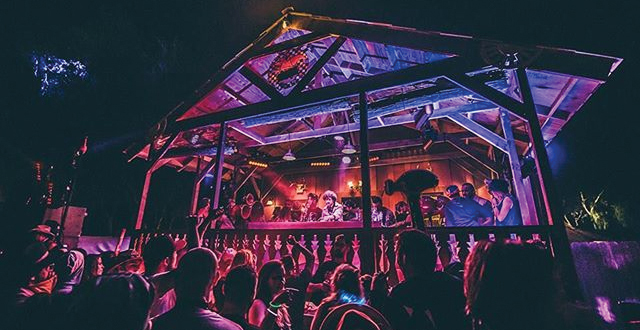 The Claude VonStroke-headed Dirtybird Records has released the phase 1 lineup for the 2016 installment of the Dirtybird Campout, which will make for a decidedly underground alternative to more mainstream festivals. Reggie Watts is unexpectedly the biggest name on the flyer – although the name next to his is conveniently blocked off. Shiba San, Christian Martin, J. Phlip and Cats ‘N Dogs make for some of the more predictable inclusions – and one of the other blocked off names undoubtedly belongs to Christian’s brother, Justin Martin. 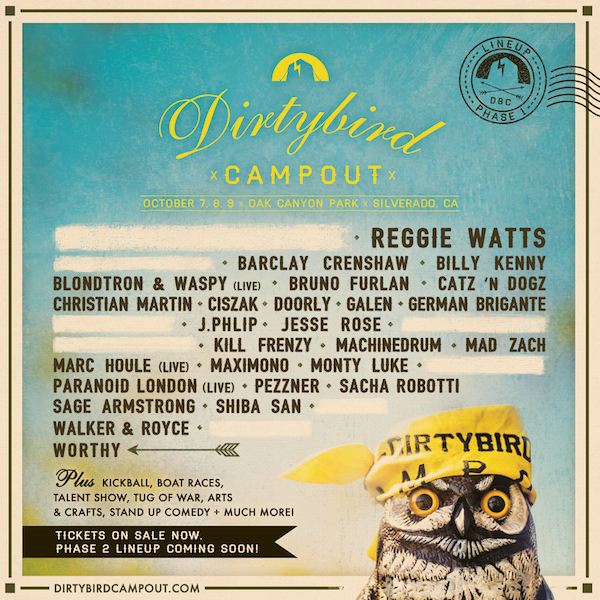 With over two months separating the Dirtybird Campout‘s phase 1 lineup announcement with the event itself – which takes place from October 7th-9th – fans will likely have to wait a while longer until the phase 2 lineup announcement arrives. Until then, look at the current names on the roster below and check out the official teaser for the event here.